Whether you’re a cruise fanatic who enjoys fine wine or an oenophile who also enjoys the open ocean, here’s a cruise you won’t want to miss. In June 2018, winemakers from Dry Creek Valley in California’s Sonoma wine country will be featured on a “passport to Alaska” cruise aboard the luxurious Crystal Symphony. The seven-day cruise will depart Vancouver, BC on June 3 and arrive in Anchorage, Alaska on June 10. The itinerary takes the cruise along the Inside Passage where passengers will see whales, glaciers, wildlife and the world’s tallest coastal mountain range. 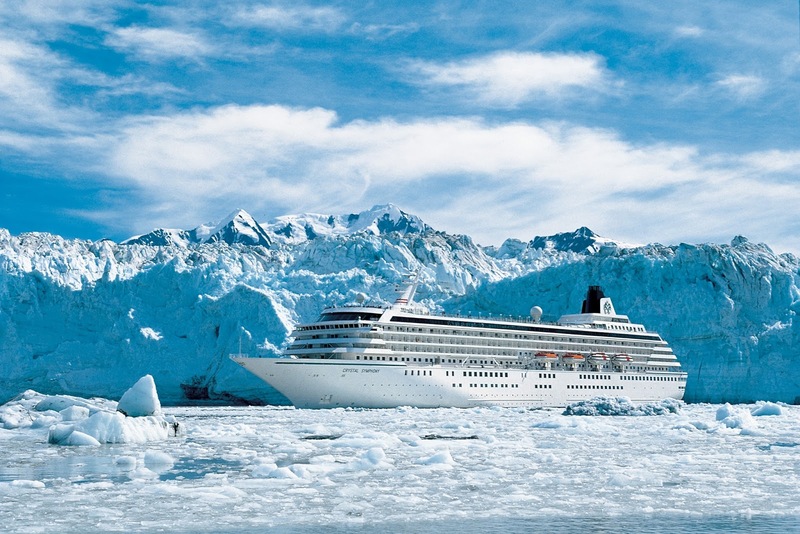 Ports of call include Ketchikan, Tracy Arm, Juneau, Skagway, Hubbard Glacier and Anchorage. During the cruise, passengers will be plied with wines from four wineries in the Dry Creek Valley: Coppola Winery, Geyser Peak Winery, DaVero Winery and Cast Winery. Passengers will also be able to partake of four winemaker dinners, a grand tasting, optional educational seminars from the Dry Creek Valley winery hosts, cocktail gatherings each evening, and other exclusive events. Cruise fares start at $2,140 per person for a deluxe outside stateroom, $3,080 for a deluxe stateroom with verandah, and suites which range from $4,880 to $13,175 per person. Fares include the premium programming of seminars, paired lunches and dinners and a grand tasting event. The premium offerings alone are valued at $750 per person. Fares do not include taxes, fees and port charges of $378 per person. The ship, Crystal Cruises' Symphony, is currently undergoing a major $80 million renovation. Passengers will be able to choose from 28 new penthouses, 12 new penthouse suites, and enjoy all new restaurants. Additionally, new technology innovations will enable all passengers to access free Wi-Fi. The 922-guest Crystal Symphony is one of the most spacious cruise ships at sea, joining Crystal Serenity in the top two spots among Condé Nast Traveler’s best ships in the world, according to the cruise line. Typically, these cruises are completely sold out seven months before the date of sailing according to the cruise line’s representative.